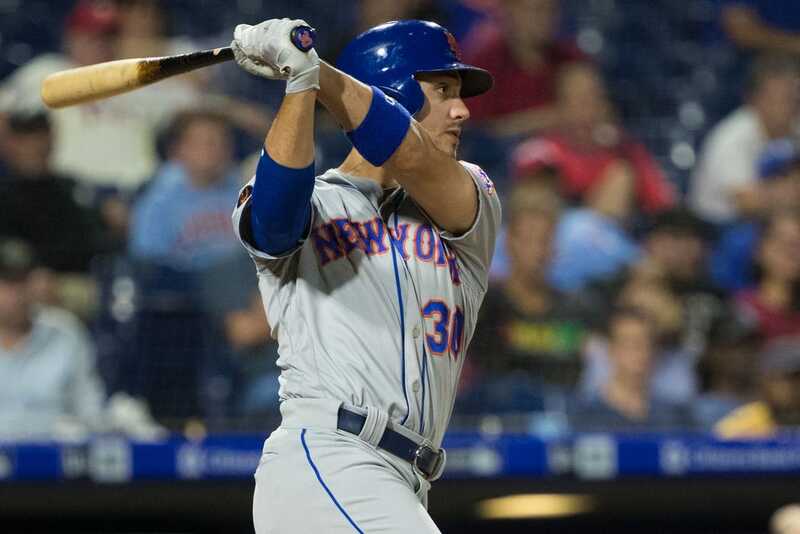 Michael Conforto homered, collected three hits and drove in a career-high six runs to lift the New York Mets past the host Philadelphia Phillies 9-4 Monday night at Citizens Bank Park. Jeff McNeil also added three hits for New York, which snapped a two-game losing streak. The Mets (70-80) combined for 14 hits overall, with 10 players managing at least one hit. Mets starter Zack Wheeler gave up three hits and four runs in seven innings. He walked three and struck out four. Wheeler (12-7) last allowed as many as four runs on July 14, ending a string of 10 starts. J.P. Crawford had a three-run triple, but it wasn't enough for the reeling Phillies (76-73). The Phillies remained 6 1/2 games behind first-place Atlanta in the National League East after the Braves lost to the St. Louis Cardinals on Monday. Phillies starter Jake Arrieta allowed four runs on nine hits and walk with six strikeouts in five innings. Reliever Tommy Hunter (4-3) took the loss after yielding a run in his lone inning. The Mets jumped out to a 4-0 lead in the fifth thanks in large part to a two-run single by Conforto. Austin Jackson had hit a run-scoring double in the second, and Amed Rosario hit a sacrifice fly in the fifth. Wheeler tossed four no-hit innings before Wilson Ramos opened the bottom of the fifth with a single. The Phillies eventually loaded the bases, and Crawford laced a three-run triple down the right field line. Crawford then scored on a sacrifice fly to left by Cesar Hernandez to tie the score at 4. The Mets took a 5-4 lead in the seventh when Conforto ripped a two-out double off Hunter, scoring Rosario. In the ninth, the Mets opened with runners on first and third against Hector Neris. Rosario then struck out before McNeil hit an RBI single to right, extending the lead to 6-4. McNeil has 60 hits this season with 17 coming against the Phillies. Conforto hit a three-run homer in the ninth off Austin Davis for a commanding 9-4 lead. It was Conforto's 26th home run of the season.